Special education students at BJU have maintained a 100% pass rate on the Praxis II special education content area exam. Do you feel called to work with individuals with exceptional learning needs? Do you love planning and collaborating with others to help someone succeed? The special education program at Bob Jones University provides solid academic preparation as well as many hours of experience both in and out of the classroom. The program is approved by South Carolina Department of Education and has met the standards of the Council for Exceptional Children Special Professional Association (SPA) and leads to initial South Carolina state licensure (licensed to teach K5-12 students in multi-categorical classroom settings). BJU’s special education program is based on the belief that both abilities and disabilities are God-given and that our responsibility as Christians is to come alongside those who struggle. Our faculty are passionate about helping people with disabilities achieve their full potential—and about equipping you to help them too. Their goal is to guide you to a biblical worldview for teaching those with disabilities and to relate all your coursework to that overarching worldview. From the very beginning, you’ll study how Jesus Christ interacted with those He ministered to and the different approaches He used to accommodate the person He was reaching. With classes ranging from Characteristics of Disabilities to Prescriptive Reading Practicum, you’ll gain a solid foundation both in content and in teaching techniques. You’ll also create special education documents, individual accommodation plans (IAPs), and lesson plans, as well as administer various informal assessments, criterion-reference tests, and norm-reference tests. Three semesters of special education practicum in various public school settings (and one semester of reading practicum) will expose you to different teaching styles as well as students with various disability types (i.e., learning disabilities, emotional disabilities, intellectual and developmental disabilities, autism spectrum disorders, communication disorders, etc. ), various placements (i.e., resource, self-contained and inclusion) and various school settings (i.e., elementary school, middle school and high school). By the time you reach your semester of clinical practice during your senior year, you will have accumulated approximately 250 hours of field experience. Professional development, community service and interaction with students’ families are also integral parts of the special education program. 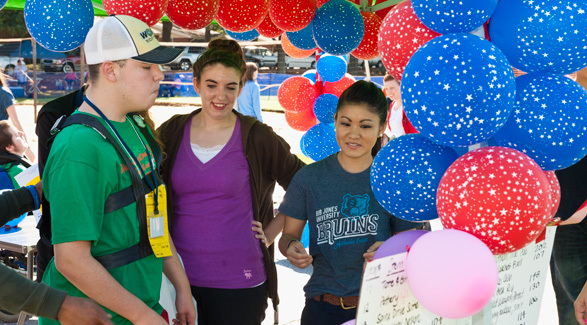 From Family Connection events to the Regional Autism Conference to the Brain Balance Center, you’ll have numerous opportunities to get experience outside the classroom as well. Because the special education program is comprehensive, there are no electives included. However, you can take online courses during the summer to free up your class schedule during the semester or simply take a heavier load each semester. You may take extra classes in areas such as communication disorders or teaching English as a second language to further focus your special education preparation, or you may take elementary education classes in order to pursue add-on certification. Or you may choose to take classes unrelated to education in areas that interest you. My degree from BJU prepared me for a high level of success in graduate school and in the classroom. After graduating from BJU in 2010, I went to Clemson University to pursue a master of education degree in special education. While at Clemson, I worked as a graduate research assistant for a program at Clemson University called ClemsonLIFE. Currently, I teach special education at Dorman High School in Spartanburg, S.C. Dorman is one of the largest high schools in South Carolina. I am also heavily involved with the Council for Exceptional Children, the leading international advocacy organization for students with disabilities. My first year as a teacher, I wrote for Reality 101, CEC’s blog for new teachers. I am now serving as vice president of the South Carolina chapter of the Council for Exceptional Children (SCCEC). The faculty and courses at BJU gave me a passion for the field of special education, a Christian worldview of current topics and trends in special education, and a strong philosophy of special education from an educational and biblical standpoint. The professors of special education built relationships with students both in and out of the classroom through time and attention to students. I remain in contact with several of my professors from my time at BJU. The most valuable outcome from my time at BJU was the ability to review research and think critically about special education. Even in just a short time since graduating, trends and issues facing the field of special education have changed. Teachers are constantly learning new information, curricula and strategies, but the ability to read peer-reviewed research and exercise critical thinking is an invaluable skill that BJU taught me. I have been accepted into the University of Virginia Curry School of Education to earn a PhD in special education, and I was awarded a fellowship and full tuition scholarship plus living stipend for the duration of my time there. I will begin my studies at UVA in the fall. I have no doubt that the skills I learned at BJU will continue to benefit me as I take this exciting next step in my career. At the annual Christian School Recruitment Conference, representatives from approximately 60 Christian schools—across the United States and overseas—visit campus to present their ministries, network with students and conduct interviews with prospective graduates. Career Services also helps students by holding seminars on resume preparation and interview techniques. Beginning in the second semester of your sophomore year, you will participate in three practicums, will collaborate with mentor teachers, and will receive experiences in one-on-one, small group, and whole group instruction (and one semester of a reading practicum). By the time you reach your semester of clinical practice during your senior year, you will have accumulated approximately 250 hours of experience working with students with exceptional learning needs. Your teaching preparation moves gently from classroom observations to after-school tutoring to practicum two mornings a week. Meanwhile, your methods classes will give you plenty of practice in lesson planning. By the time you begin your clinical practice your senior year, you will be well prepared with numerous lesson plans under your belt and at least 100 hours of classroom experience. Clinical practice, the capstone experience of your teaching preparation, gives you the opportunity to work with a mentor teacher in a local public school and receive timely feedback in weekly meetings with a BJU professor. This semester of clinical practice, along with completion of required classes, passing scores on the Praxis II exam and a favorable recommendation, leads to South Carolina state teacher licensure for grades K-12. 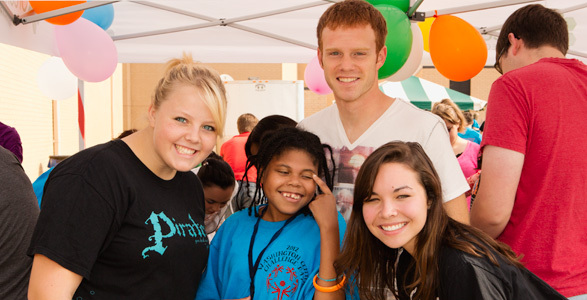 Special education students from BJU also have the opportunity to serve as event staff at Special Olympics Greenville with other volunteers from the community. Athletes may be anywhere from mildly to severely disabled and range from 3rd grade through adults. Being a teacher is getting involved in your community and growing yourself professionally. Classroom is only a small part of it. Your mission field is broader than the classroom that you are assigned. 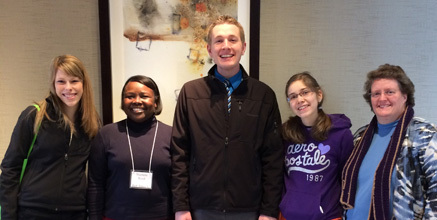 Special education faculty members attend conferences, seminars and workshops throughout the year, often inviting teacher candidates to accompany them. You’ll have opportunities to meet other special education teachers and teacher candidates, as well as to increase your specialty knowledge. In addition, you may have the opportunity to co-present with a faculty member. All of these are opportunities for you to share the Gospel. The more you’re out there, the more opportunities you have. Professional development opportunities to hear speakers who are experts and practitioners in their particular field. Opportunities to attend Christian school teachers’ conventions. Social interaction with other veteran and future teachers. In addition to the general education forums, the special education department hosts a forum every semester to focus on areas of special concern to future special education teachers. Averaging 15 years of teaching experience, our special education faculty are passionate about their field. 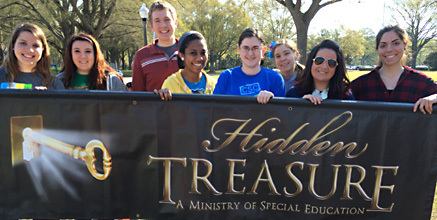 They are members of various branches within the Council for Exceptional Children (CEC) and South Carolina Branch of the International Dyslexia Association (SCBIDA) and have served in various organizations, from secretary for the SCBIDA to vice-president for the Teacher Education Division of the CEC. They attend conferences regularly and often bring students with them. In addition, faculty are involved actively in their local churches and community service activities such as teaching adult learners, serving on a School Improvement Council, participating in a juvenile detention extension and more. Create individualized plans for students with mild to moderate disabilities that are anchored in state/national and/or common core curriculum standards and reflect remedial skills specific to the individualized education program (IEP). Administer appropriate types of assessment to pinpoint strengths and weaknesses of students with mild to moderate disabilities. Collaborate with families of students with mild to moderate disabilities and/or professionals in designing and planning instruction and/or in delivering effective special education programs.